This election year is an opportunity to let your community and the new Congress know how vital music education is for students and for our society. Between now and January 31st, we want to collect stories about music education from across the country. EVERY music program is important and EVERY music teacher, parent, administrator, and student makes a difference. When we share our stories, we share the importance of our work. 1. Write a story about something your program or a program you know has accomplished. (Perhaps your story involves putting on a concert, adding a new class, or doing volunteer work… the possibilities are endless.) Your story can be as long or short as YOU want. 3. 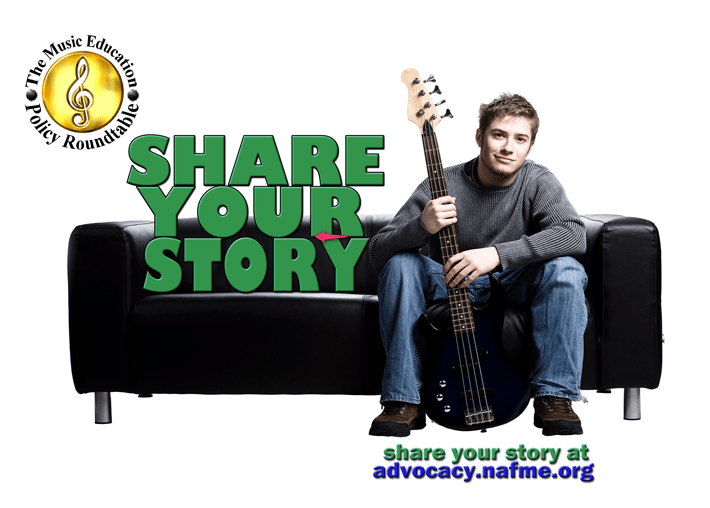 Post your story to NAfME’s website by clicking here. In your story, please tell us where you are writing from so we can add your story to our map. Your story will appear on Groundswell’s homepage after moderator approval. NAfME will be working with state and national music education leaders to share your stories with even more elected officials after the election! How many stories can we collect? Help make our Campaign a success—it’s up to you! Posted with Permission and support from NAfME. This is a great cause and I encourage any and all of you to help support NAfME and Music Education through this excellent initiative!